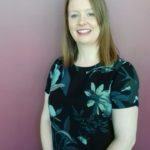 Emma was voted the winner of the Energy Zone in November 2017. 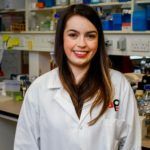 Here she writes about using her prize money to help produce the social media based competition and public engagement project Ireland’s Next Top Biofuel. I won I’m a Scientist in November 2017, and used the prize money to support a colleague to pursue a Science Communication Project. The money was used to help Aoife Long produce Ireland’s Next Top Biofuel, to be shared on social media throughout Engineers Week 2018. The series showcased the work of the Biofuels and Bioenergy research group in UCC, and also the researchers conducting the work. The format was based on successful and popular TV shows such as America’s Next Top Model, the X-Factor and Dancing with the Stars. Ireland’s Next Top Biofuel borrowed this format to present the various feedstocks for producing renewable methane in Ireland and compare them on different criteria for each episode, such as Technology Readiness Level (TRL), greenhouse gas emissions and resource availability. One feedstock is eliminated in each episode until finally a winner is crowned. The aim of the series is to engage an audience who would not necessarily seek out scientific information, to inform them of some of the proposed technology options for a transition towards a more sustainable energy sector. The I’m a Scientist prize money was used to pay for audiovisual and editing services and also props for filming. The episodes can all be viewed on Youtube. Stephen was voted the winner of the Light Zone in November 2016. 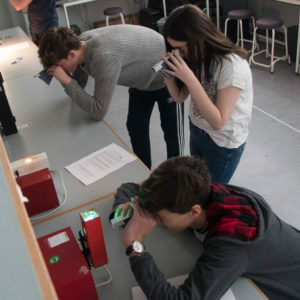 Here he writes about using his £500 prize money on spectroscopy workshops. Since my research area is in the field of spectroscopy, which is the colour analysis of light, I used the prize money to help buy equipment to run workshops within my university on Spectroscopy and Optics. 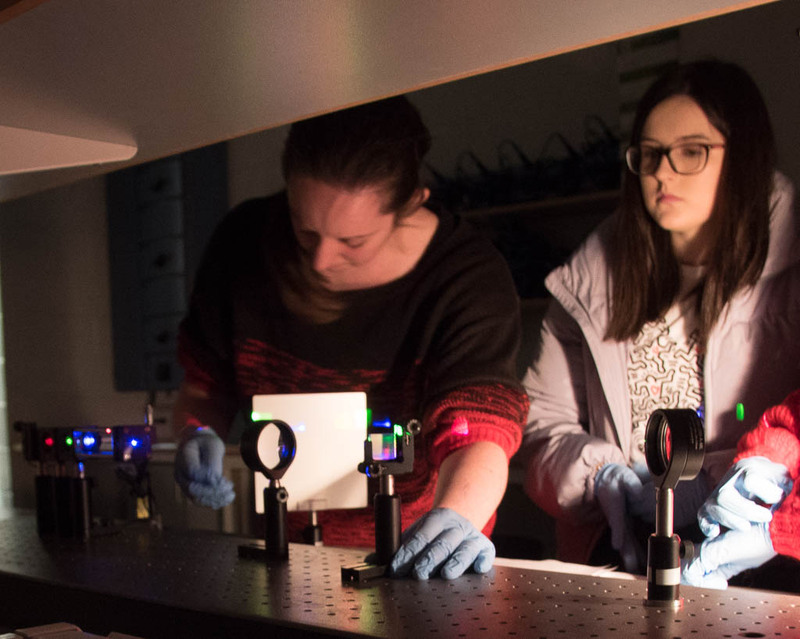 The workshops detail the basics of optics and spectroscopy all the way up to taking measurements, investigating different light sources, and building research quality equipment with high precision optics. Along with this, the students were also able to build their own basic telescopes and spectrometers to take home. The prize money form I’m a Scientist was vital for buying the telescope and spectrometer kits which were the initial equipment for the workshop’s inception. Since then we were even lucky enough to be awarded an SPIE outreach grant which allowed us to expand our scope and buy some of the more expensive bits. So far the workshop has been run multiple times over the last year. It has been a great success and would not have been possible without the seed money from the IAS prize money. The full €500 was spent as part of €740 required to purchase the telescope and spectrometer kits required for the workshop. 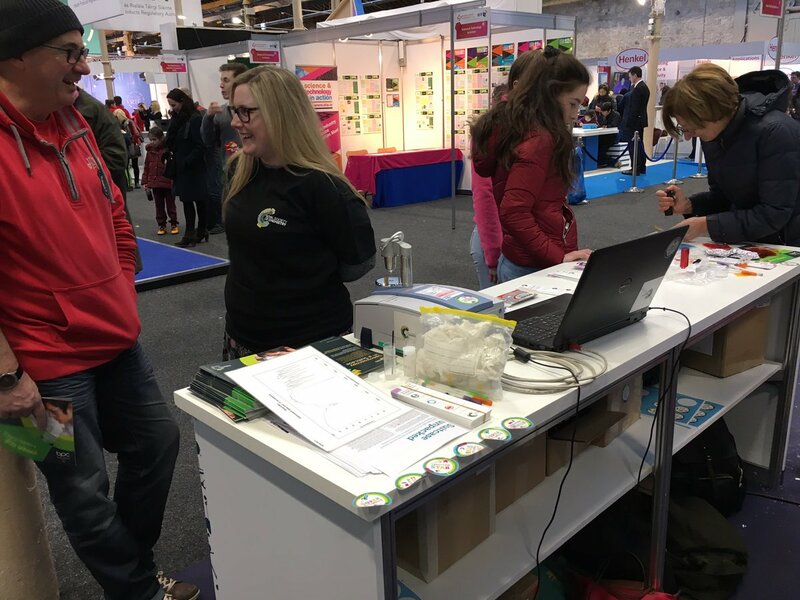 Since taking part in IAS I have been very busy with many different science communication projects: I am still a dedicated member of the Physics Busking team bringing science to events across Ireland in fun …and sometimes explosive ways! Myself and another IAS winner, Claire O’ Connell, were part of a European H2020 project the ‘Do it together Science Bus’ where we toured the UK for three weeks in the summer of 2017 getting people involved in science. I have MC’d and talked at the Irish SciFest National Finals and even made a TV debut on RTÉ’s weather live programme as part of Science Foundation Ireland’s science week, to name some of my favorite bits since IAS. Aoife was voted the winner of the New Materials Zone in November 2016. 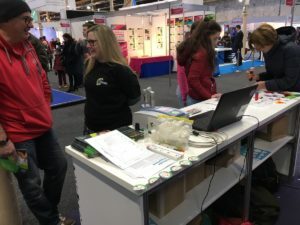 Here she writes about using her £500 prize money to purchase a renewable energy demonstration kit and a renewable energy monitor for demonstrations and events. I chose to use my winnings from the New Materials Zone (2016) to purchase a renewable energy demonstration kit and a renewable energy monitor. This was used by me over the past year and will be used by my group and the School of Chemistry for future demonstrations and events. The kit allows energy to be converted (and measured) from mechanical, chemical and solar sources to electrical energy. I’ve been lucky enough to carry out demonstrations for two groups of secondary school students at two events at my university. The two groups came to about 100 students in total. I first gave them a short lecture on the university research experience and followed this with a discussion on the practicalities and importance of renewable energies. 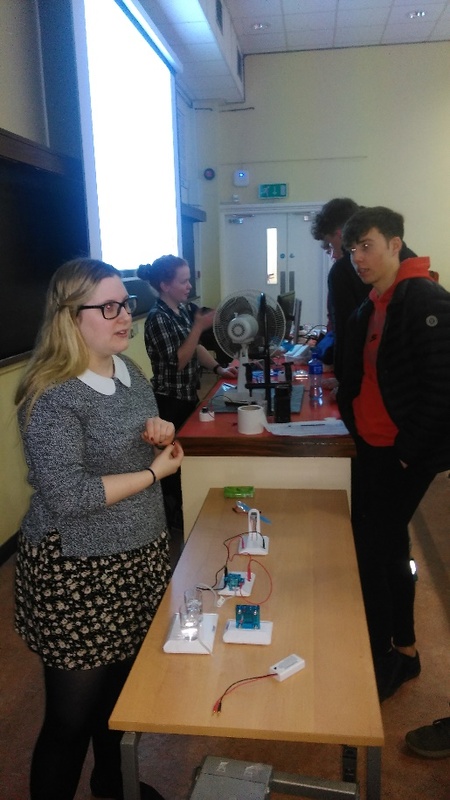 The sessions were ended with a demonstration and mini lab using the kit where the students got to generate electricity using a fuel cell, electrolysis cell and water (which is what my research actually focuses on!) 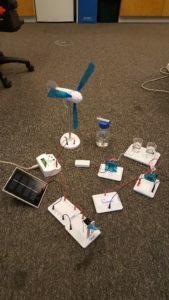 and a wind turbine and solar cell. It was possible also for the students to measure the energy being generated by these sources. The students gave great feedback and really enjoyed the hands on aspects of the demonstrations and I plan to run similar events throughout the coming year. Winning the competition also encouraged me to get involved with more outreach activities with the RSC and the School of Chemistry here in Trinity, including volunteering at the BT Young Scientist and Technology Exhibition for the last two years which I’ve thoroughly enjoyed. Overall, my experience has been fantastic and I would recommend taking part in “I’m a Scientist” to anyone considering it! I spent € 450 on a Horizon renewable energy kit and energy monitor and €50 on travel for other outreach. Sinead was voted the winner of Nanotechnology Zone, funded by IOP Ireland in November 2013. 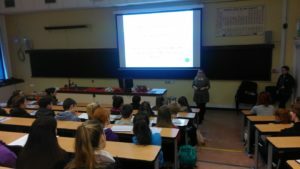 For her efforts she was awarded €500 to support her own science outreach activities. 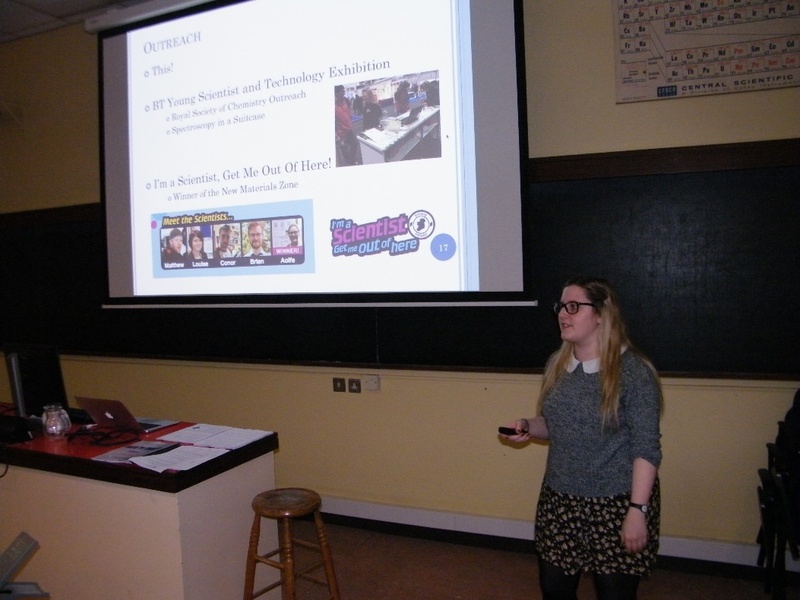 Sinead used the funds to run her own workshop for school students based on her research. The workshop was held in the Biomedical Diagnostics Institute on 22nd April 2014 and the theme of the workshop was heart health, blood clots and designing biochips. Mark was voted the winner of Oxygen Zone in November 2016. Here he tells us how he made use of his €500 to support his outreach activities. What ewe looking at? Click ‘Lamby the Logo’ to listen to the podcast! I’m a Scientist, Get me out of here was one of my outreach highlights for 2016. It was such a unique way of being able to interact with students, and is definitely the best outreach event in which I’ve participated in terms of letting young scientists ask the questions they really want answered. I’ve used the €500 prize money to create a podcast called Science of the Lambs with one of my friends, Danny Riordan. The podcast focuses on science and technology (with a heavy emphasis on physics, since we both are doing PhDs in physics). We release the shows once a month and, so far, we’ve had 4 discussions – one on the exoplanet Proxima B, one on what it takes to get a scientific result published, one on new technology which allows us to read closed books and the latest one on the arms race surrounding artifical voices. Creating a podcast is not a cheap project, and would not have been possible without the support from the I’m a Scientist competition. We’ve had to buy microphones, pop filters, editing software, a website, our domain name, get our theme music made, and buy some advertisements. However, now that the capital items have been bought (mainly the microphones) we hope to be able to keep this podcast going for the next few years (we already have episodes 5-9 planned). So thanks again to everyone in the Oxygen Zone who voted for me, and to my fellow scientists for making it an excellent competition. I hope you enjoy the show! Like what you hear? Never miss an episode by subscribing to Science of the Lambs and follow @SciLambs on Twitter for updates. Eileen was voted the winner of the Hydrogen Zone in 2012. Here she reports back on the science engagement competition she set up using her €500 prize money. Early last year, I was having a cheeky afternoon pint with a good friend of mine, Angela Stevenson. We both have backgrounds in scientific research, having been awarded doctorates from the School of Natural Sciences at Trinity College Dublin. Eager to tap into our creative sides – and passionate about finding ways to raise public awareness of biodiversity – we began brainstorming ideas. Knowing I had the award from the I’m A Scientist competition was just the push we needed to be inspired to get started. 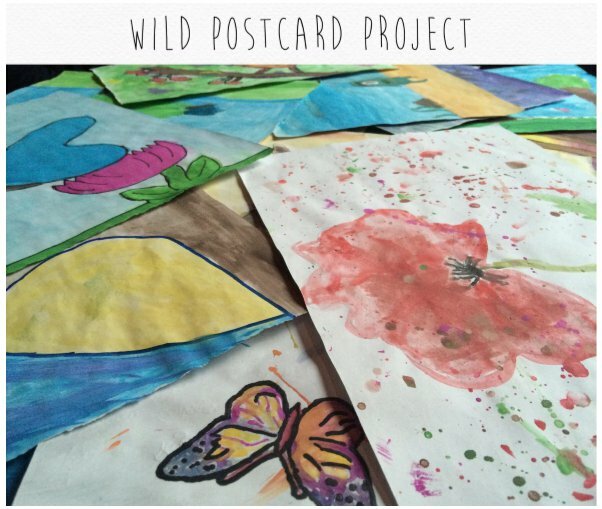 And what we came up with is the Wild Postcard Project – an initiative that aims to increase awareness of Ireland’s biodiversity through an artwork competition for kids and teens. 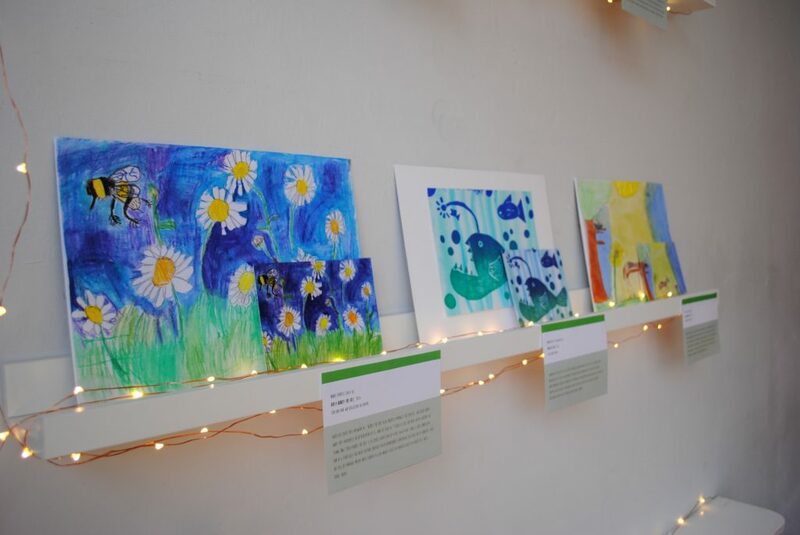 We partnered with the National Gallery of Ireland and the National Biodiversity Data Centre in calling on Ireland’s youth to make artwork depicting the plants, animals, and other creatures that call Ireland home. We also got the support of nine (9!) governmental and non-governmental organisations, which we dubbed ‘our pack’, who helped us to spread the word. We also had coverage on radio and in the Irish Times. 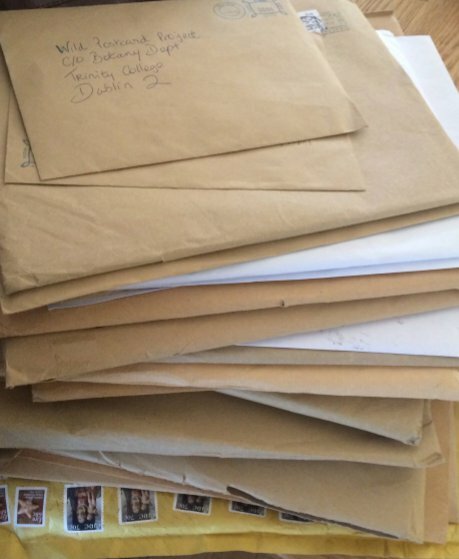 Over the six weeks our competition was open for entries, we received nearly 1,300 entries from across Ireland. Children used a variety of media (watercolours, coloured pencils, collages, prints, and more) to depict birds, insects, mammals, flowers – even entire habitats. Stacks and stacks of entries! The difficult task of choosing the winners was left to three experts: Geraldine O’Neill (ARHA), a Hennessy Portrait Prize shortlisted artist who last year was commissioned to create a portrait that was exhibited at the National Gallery of Ireland (NGI); Dr Easkey Britton, a three time Irish surfing champion and artist with a doctorate in Environment and Society and activist for conservation; and Caoilte O’Mahony, NGI’s Education Administrator. Together, the judging panel managed to select our final batch of winners (albeit 12 instead of our intended 10!). We presented the twelve winners with certificates at an event in October, at which the printed postcards were finally revealed. After working on this for several months, Angela and I were very happy to share the postcards – and especially having a chance to meet the winners and see their reaction upon seeing their postcard. Surprise confetti for the winners! On the back of each postcard is a little note with a request for postcard recipients to let us know where they live – so we’ve been able to track the spread of the postcards around the world. It’s been great to see how far they’ve been sent. We hope that this initiative will have inspired conversations about biodiversity not only in those receiving a postcard, but also in families and classrooms that took part in the competition – a perfect representation of the IAS mission. …they spend hours drawing and love nature – every sort of bug gets investigated – I have to learn along with them! I’m sure you have amazing drawings in but the girls had great fun doing theirs. Thank you and good luck with it all. Thank you very much for coming up with the idea of this competition. We have learned lots about the biodiversity in Ireland. We are waiting for a dry day to explore our own hedgerow…we are now a lot more aware of the uniqueness of our flora and fauna. The final produced postcards. Where in the world will they end up next? Buy your own pack at the link below. And finally (!) 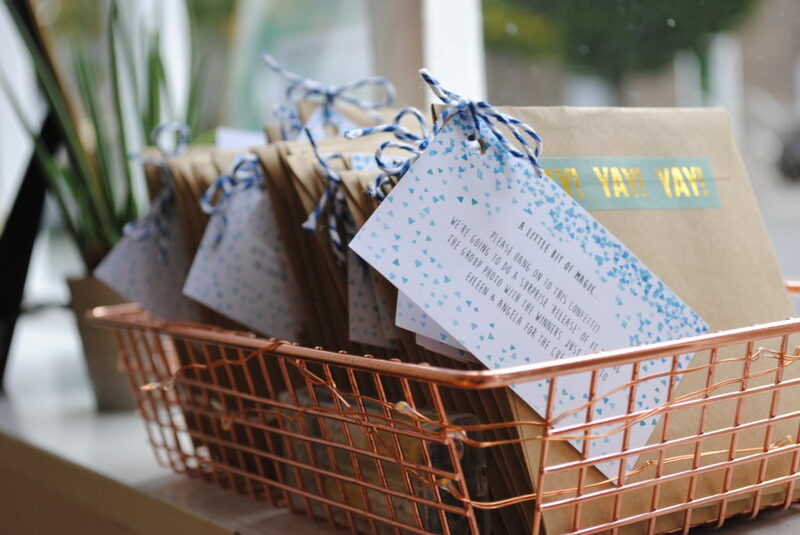 – as an exciting update, I’m very happy to announce that following on from our success with the Wild Postcard Project in Ireland in 2016, over the upcoming year we’re going to be taking the competition global: we’ll be launching ‘satellite’ competitions in various countries around the world. The first of these will be in the Philippines – so make sure to keep an eye on our Facebook page for news on this and other upcoming competitions. 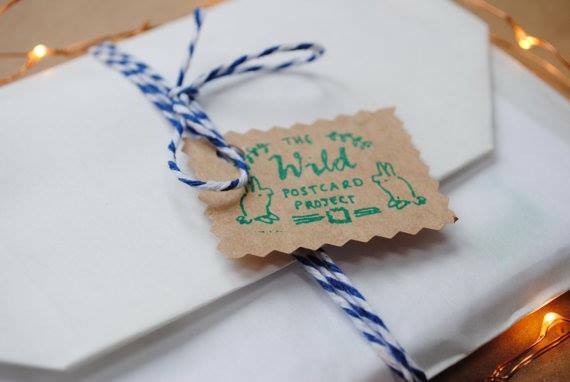 You can learn more about us at www.wildpostcardproject.com, and postcards are available for purchase from our Etsy site: bit.ly/WildPostcardProject All money made goes to fund the project next year! 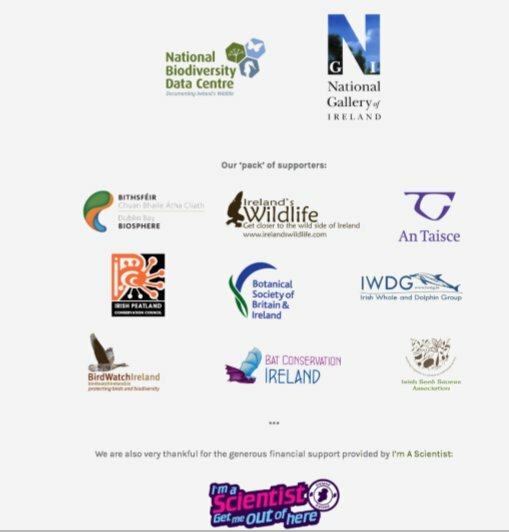 With huge thanks to our ‘pack’ of partners! It was an amazing two weeks participating in I’m a Scientist, Get me out of here. The event grabbed my attention so much that I couldn’t resist answering questions in all the sessions. There was also really tough competition from the other scientists, Ricardo, Pierre, Irene, Chloe. Being a winner of that event from Nitrogen Zone, I had to spend the prize money on an outreach activity promoting science. 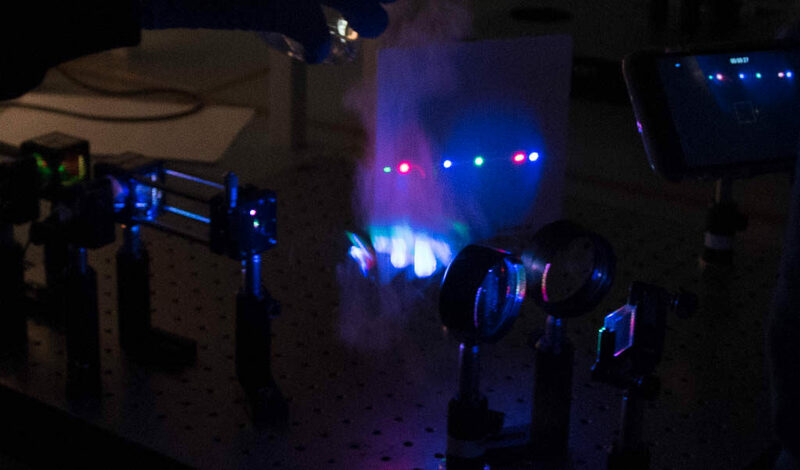 Although I am an electronics engineer by profession, through my research I’ve started to know more about light and its applications. So I based my outreach activities on both of these, i.e. Electronics and Photonics. As a first step I purchased a few Photonics kits which can be used as a tool to explain more about light and how it works. In my original plan I had to visit individual schools to demonstrate the kits and give them hands on feel with various light related components like lasers, prisms, filters etc. But upon suggestion of the Outreach and Public Engagement office at Tyndall, we invited school students to our institute so that we could address a higher number of students. 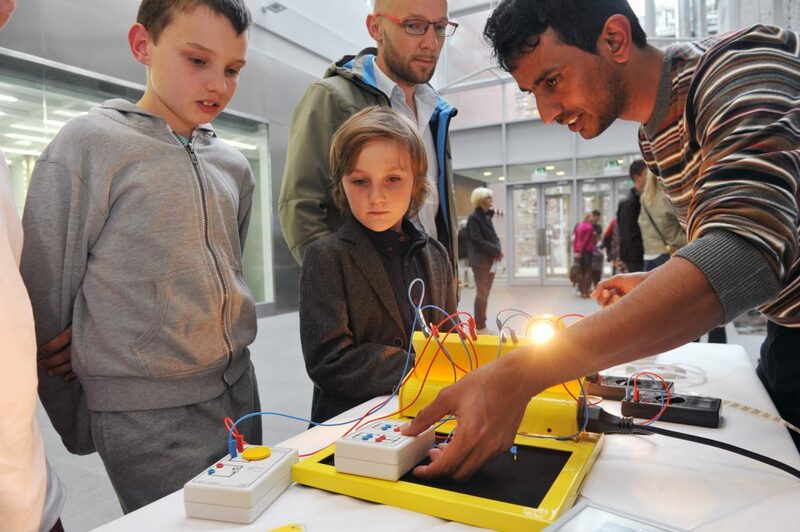 The demonstration of solar cell was the start my outreach activity. Students were excited to do the experiments. Based on the amount of interactive questions kids asked, I can confidently conclude that the first event was awe-inspiring. 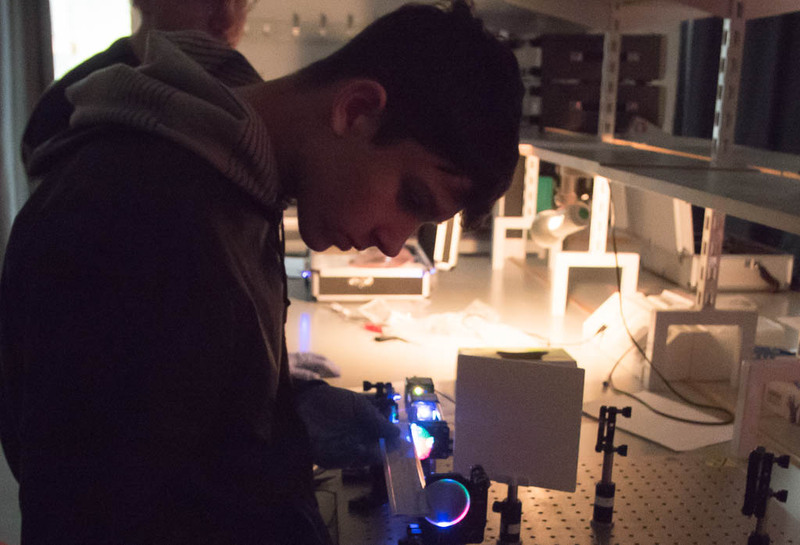 In our optical communication sessions, students were introduced to the basics of laser and how it can be used for communication. 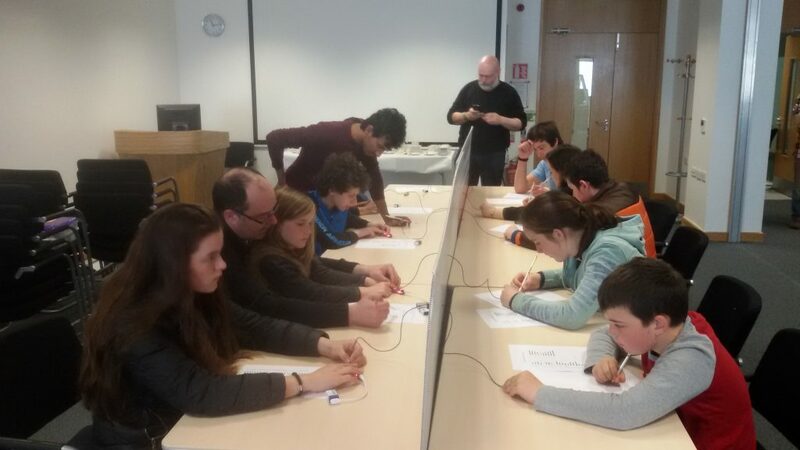 They also had a session of using Morse code over a length of optic fiber to code and decode a message. Students were more active in this session as they were sending out their own personal messages instead of what we had given. It was a fun filled experimental session. Every single moment I spent on this event made me more and more interested in outreach. I will certainly use the kits to conduct more interactive sessions along with existing outreach activates in Tyndall national institute. Honestly, I believe interacting with kids allows us to know more about ourselves. The prize money from I’m a Scientist has certainly made all of this possible. I would like to thank I’m a Scientist and the Science Foundation Ireland for giving me the opportunity to pass my passion of light on to potential scientists of the future. I signed up to take part in I’m a Scientist get me out of here to help improve my ability to answer questions. As a scientist and a lecturer I spend most of my time struggling to find answers. I heard rumours that participating in a competition like I’m a Scientist would give me a unique opportunity to answer a wide variety of questions from secondary school students. Even though I visit lots of schools each year, there is just never enough time to visit as many as I would like. I always feel guilty that I have to decline most of the invitations I receive. I hoped that by taking part in I’m a Scientist I could engage with far more schools than I could by visiting them in person. Despite being confident about my reasons for taking part, once the competition started I was not prepared for the onslaught of questions. It was the most intense rapid-fire rounds of questioning I have ever been involved in. Connecting a scientist to an online forum where 30 students at a time can anonymously bombard them with questions sounds like madness. And it is. But in the best possible way. There were great questions and there were strange questions. There are only so many times you can try and answer “What does the fox say?” and “Bro, do you even lift?” before despairing at meme-culture. The scientific questions were fantastic but they were questions we should be used to answering. The more unusual questions included: “Why are people so judgey?”, “Where did you get your scarf?” and “Have you got GTA5?” It seemed like some of the students decided they would test the limits of what I would be comfortable answering. Little did they know that their desire to find a question that I would not answer could not outweigh my masochistic need to reply to every single question I was asked. I am not sure why the students picked me as their winner but it is probably simply because I answered more questions than anyone else. When I was taking part in the competition I was working on finding novel ways for underrepresented social groups to engage with science. I decided that the best way to accomplish this would be to invest in more creative approaches to teaching. I spent the prize money on a design course to help better equip myself and my colleagues to embrace technology in our lectures. We started encouraging our students to design and record short films explaining science and to share them with each other for feedback. The highlight of this process was when we worked with the Trinity Centre for People with Intellectual Disabilities. This Centre is a flagship initiative of the college that promotes inclusion for people with intellectual disability through education and research. We worked with a group of students that otherwise may not have had the chance to encounter higher education science. You can see the some of the students’ work in the video. The impact of this project is that it will raise awareness among people with intellectual disability that they can gain a higher-level education in science at Trinity College Dublin. Dr Joseph Roche is an Astrophysicist and Assistant Professor in Science Education at Trinity College Dublin. His research area is the role of science in society and he is course coordinator for Trinity’s Masters in Science Education. James won the Sustainability Zone in November 2014 and here reports back on how the prize money was used for science communication. 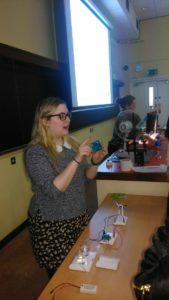 We used the I’m a Scientist funding on various open day and open evening events hosted by the UCD school of chemistry. These included dedicated chemistry events, general science undergraduate and postgraduates events and overall university events. The money was spent on printing periodic tables for distribution to visiting students and also in organizing guided tours of the school’s undergraduate and postgraduate facilities which were facilitated by PhD students in the school. The school has an active outreach programme that includes participation in university and college events as well as organising events of our own. We also visit a large number of primary and secondary schools and also actively organize for visits of secondary school students on internships.